Garda RFC ladies rugby team were away to Athy last Sunday 10th November. Just their second game in the league. Great performances from all players led to a victory of 33-15 win over Athy. Great tackling, position kicking and point scoring from team captain Teresa Molohan ensured the team had a leader to follow. Strong running from Sara Lawlor had the Athy defence in disarray and was the source of Garda’s tries. While Garda built up a lead in the first half, Athy came back strong and closed the deficit to five points. However, Garda stepped up with two more tries late in the second half. In ideal weather conditions it was a great learning game for the ladies and for must this is their first season. This a new team and was only set up in August and this was the 1st or 2nd game for most of the players. 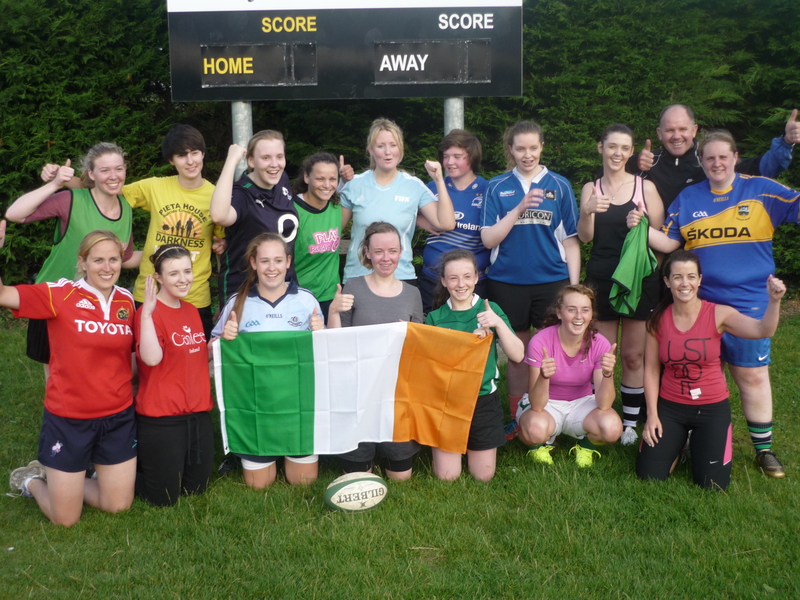 Garda ladies rugby is going strong and we are always looking for new players. Why not come to training on Tuesday’s and Thursday’s at 7pm in Westmanstown and ‘Try’ out rugby. It’s a great off season training for footballers, a great social scene for all to get fit and meet new people. All levels of fitness and skill welcome. Westmanstown u15 and u18 girls are also recruiting. Training Thursday’s at 6.30pm in Westmanstown.